There are great things you can do in the fall for your lawn and garden. Just because summer is over doesn’t mean the fun has to stop. Also, a few of our favorite fall garden and lawn care tips below give you a head start on next season. 1. Aerate and dethatch the lawn now to improve its ability to absorb water, air and nutrients. Lawn aeration reduces water runoff, improves root growth, and enhances its ability to endure heat and drought stress. Thatch build up chokes the lawn; it hinders water penetration and weakens the lawn. Dethatching the lawn allows new grass shoots to grow, and improves the root system. 2. Compost leaves, grass clippings, and spent vegetable and flowers now to make brown gold for your lawn, flower beds, and garden. 3. Plant cool season vegetables such as lettuce, radish and carrots now for Fall harvest. See our tips for planting a Fall Garden. 4. Divide daylilies after they have finished blooming. 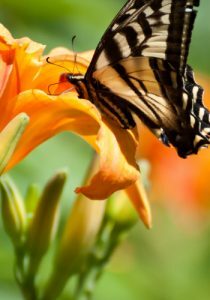 Or plant more daylilies now to attract lots of bees and butterflies next summer. Divide and transplant early-blooming perennials. 5. Take notes and pictures of your garden now, to plan for future plantings. 6. 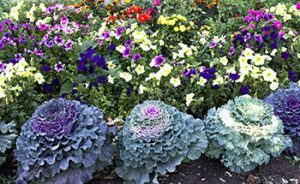 Add ornamental kale to borders and pots for color and interest in the fall garden. Add some pansies for color; they thrive in cool weather. 7. 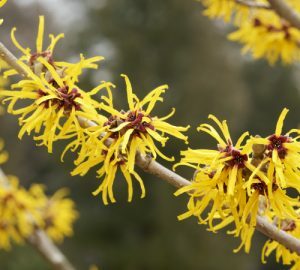 Fall is the perfect time to plant new shrubs. The combination of warm soil and cool air encourages root growth. This helps newly planted shrubs and trees get established before the ground freezes. Use the Mantis Tiller with the Aerator or Dethatcher Attachment and quickly improve the overall quality of your lawn. If you have a gardening tip that you’d like to share with others, or have a question about Mantis products, click here to e-mail us or feel free to give us a call at 1.800.366.6268. We’d love to hear from you. Thanks for visiting our web site.